The contract between the guest and Euro Tours comes into force with the binding reservation (verbally, in writing form or by e-mail). From that moment onward, the rights and obligations of the contractual parties are regulated by these General Terms of Business and apply to the guest and Euro Tours. Confirmation of reservation will be immediatly delivered to the guest by e-mail. In the event of the confirmation differing from the requested reservation, by paying the received reservation the guest confirms that he/she accepts the terms listed in the confirmation. Euro Tours may without obligation accept any kind of special demand (ie request), but the request is not legally binding for Euro Tours and will be fulfilled only if Euro Tours has issued a written confirmation. In the event of payment arrangements not being made according to Article 3.2, the reservation may be cancelled, with Euro Tours having no obligation towards the guest. The prices published on the Web page www.euro-tours.net are expressed in EUR, and apply to the price of daily accommodation per accommodation unit in the corresponding price season. The published prices are valid from the moment of refreshing data on the Web page, ie from the moment of publication of a new brochure. In accordance with Article 3.5 about price change, the price valid at the moment of reservation is applied. If the facility contains several identical accommodation units with the same description and prices, in the facility's description the total number of such units will be listed, but only one of them will be described. It is not compulsory for special offers to apply to all accommodation units of the same type. Any additional services requested by the guest (eg. extra cleaning, phone expenses, bike hire etc.) are not included in the price and must be payed on the spot to the person in charge of the facility's keys, or to a Euro Tours employee. The minimum length of stay in the months June, July and August is 7 nights, while in the other months it is 4 nights. For a shorter stay the accommodation price goes up 30 %. The day of arrival/departure is Saturday, unless otherwise specified. The accommodation prices (unless otherwise specified) include: usual consumption of electricity, heating in winter and air-con in summer, water consumption, gas consumption (if available), final cleaning (if not otherwise specified), bedding, bath towels and tourist tax. Regardless of whether the reservation has been made directly by the guest, or through a partner agency, upon receiving confirmation of reservation the guest/agency has to make an advance payment of 30 % within the next 5 days, thus definitely confirming the booking. The balance of the full amount has to be paid at least 42 days before arrival and starting of using the reserved service. For reservations made within 21 days before arrival the total amount of reservation must be paid in the next 48 hours. Payment of reservations made within 21 days before arival must be reconfirmed by written confirmation ( e-mail) of the made payment. Eurotours will send to each guest the confirmation of the received payment with all necessary further details. Euro Tours reserves the right to request a valid credit card number from the guest as payment guarantee. In the case of the guest not sticking to the payment deadlines, the reservation may be cancelled. Reservation cancellations 7 and 1 day before arrivall: 90 % of the total reservation cost is charged. The handling charges of 25,00 € will be deducted from the payout which needs to be returned to the guests. The cancellation date is considered to be the day when the cancellation notice has been received (if it happens to be a holiday or Sunday, it will be considered the next working day). In case of no-show or unnanounced delayed arrival, Euro Tours keeps the total reservation amount. On the guest's request the reservation may be changed in terms of change of date, accomodation unit, accomodation type or names of persons if possible. When selecting our facilities, special attention is paid to service description and price calculation. However, despite this we are unable to exclude the possibility of price and service change. In the event of such changes, the guest will be notified when booking or, at the latest, upon receiving booking confirmation. The items written on the booking confirmation are final. It is unlikely that any changes will occur after the booking confirmation, but we cannot entirely exclude not even this possibility. Euro Tours has the right to change prices in certain moments due to increasement or introduction of fees or taxes on accommodation services, or due to significant changes in the rate of exchange. To the guests who have already booked the accommodation, the original price, on the day of their booking, will be charged and they cannot complain on the price. Euro Tours's accommodation offer consists of units owned by our contractual partners – lessors on for whose account Euro Tours sells capacities on the tourism market. The accommodation units from our offer may only be accommodated by the maximum number of people listed in the description of the reserved accommodation unit posted on Euro Tours's Web pages. The same applies to children, regardless of their age, with the exception of facilities allowing another child under the age of one free of charge. The guest is asked to mention this fact while booking. It is also forbidden to place tents or caravans on the land belonging to the facility. After the lease beginning the guest is obliged to announce previously all visitors that come to visit him/her. In the event of exceeding the maximum number of people, or placing a tent or caravan on the facility's land, the owner may charge a fee per extra person, or remove the extra people from the estate, ie demand the removal of the tent or caravan. If the guest ignores the request, everyone will be removed from the estate and no refund will be made. In case that the guests are younger than 21 years, they are obliged to inform Euro Tours immediately at the reservation about the exact number of guests and their age. In this case a payment of an additional deposit might be necessary for the insurance against the property damage. Euro Tours and the owner retain the right to reject the groups of guests younger than 21 years in case that Euro Tours has not been informed about their arrival, and in that case the guests are not entitled to a return of the paid accommodation price. Our associates have personally visited each facility in our offer. With listed facility sizes it is always about external dimensions, and consequently there's a possibility that the internal dimensions may be up to 15 % smaller than the ones listed. At the reservation of the newly built properties the guest must be aware that it might happen that there was not enough time for the grass, plants, flowers or other horticulture to grow in the garden. Despite thorough cleaning and maintenance of our facilities, occasionally a bug or mouse may be found who got there from their natural habitat where the house is located. Euro Tours cannot be held responsible for this and the guests cannot ask for any compensation. Although pets aren't allowed in all facilities, this does not mean that there have never been any pets in the booked facilities. Euro Tours does not take any responsibility for the guest's allergic reactions in certain facilities. The permission to keep pets shall be marked on the web page of Euro Tours near each facility which allows pets under the conditions foreseen for each facility separately, which shall be mentioned on the web page. The pet owners are responsible for cleaning of pet waste after their pet, and the pets are not allowed to sit on the furniture at any moment. Each evidence on the stay of a pet on the furniture may cause additional cleaning costs. Keeping of pets in a facility is an exclusive responsibility of the guest, and owners and Euro Tours do not take over any responsibility for a possible illness or injury that the pets might suffer during the stay. The approach to the swimming pools is strictly forbidden to the pets. If the guest brings a pet which was not announced, the owner and/or Euro Tours retain the right to terminate the rental contract which comes into force immediately, without the notice period, and the guest is obliged to leave the facility permanently within 2 (two) hours with all the persons who stay there, and he is not entitled to demand from the owner or Euro Tours the return of the paid accommodation price. When selecting facilites from our our offer, we always make sure we select facilities located in good, safe and quiet areas. Despite this, we cannot guarantee that there will be no noise during the guest's stay, because we cannot affect or control things such as traffic noise, noises from nearby construction sites etc. Neither the owner nor Euro Tours can be held responsible for noises coming from the facility's sorroundings and the guests cannot ask for any compensation for it. 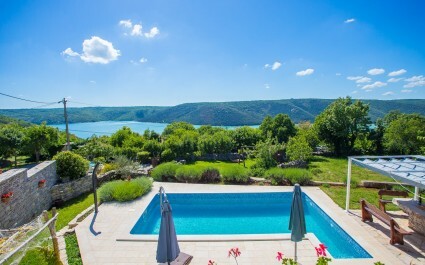 In the event of the facility having a swimming pool, the guest is obligated for safety reasons to stick to every advice of the owner or Euro Tours. Using the pool is exclusively at your own risk. Children can use the pool only with an adult present. You should take in consideration that the usage of the whirlpool is related to certain health risks and you use it at your own responsibility. In many facilites from our offer guests have many features at their availability such as a washing machine, dishwasher, fridges, microwaves, DVD players, television sets, satellite receivers, a telephone, internet access, swimming pool etc. They can freely use these features, but Euro Tours cannot be held responsible if one of these features unexpectedly stops working during the guest's stay. This also applies to sanitary facilities and installations. After setting the total reservation cost, at least 4 weeks before arrival, travel documents will be delivered to the guest confirming that he/she is the legitimate user of the booked accomodation. These travel documents include a voucher, a description of the journey describing the accurate route to the accommodation and accurate information about where to collect the accomodation's keys after presenting their confirmation of paying for the booking. The guest is asked to pay attention to the contact numbers in order to be able to contact the accommodation's owner or a Euro Tours 's employee working in the area. Upon arrival the guest must hand in their travel and personal documents to the person giving them the house/apartment keys, who will then register the guest by the authorities and immediately return their personal documents. The estimated time of arrival/departure is listed in the travel documents. The time of arrival must be between 4 PM and 8 PM, while the time of departure is till 10 AM. In the case of arrival not being possible before 8 PM, the guests are obligated to notify the travel agent or person in charge of the keys, with whom they will arrange when to collect the keys. In the event of the guests wanting to extend their stay, they are asked to inform promply their travel agent who will, if the desired period is available, gladly book them an extension of their stay. In exceptional cases due to unpredictable or unavoidable circumstances, Euro Tours may give the guest appropriate replacement accommodation of equal value and quality. 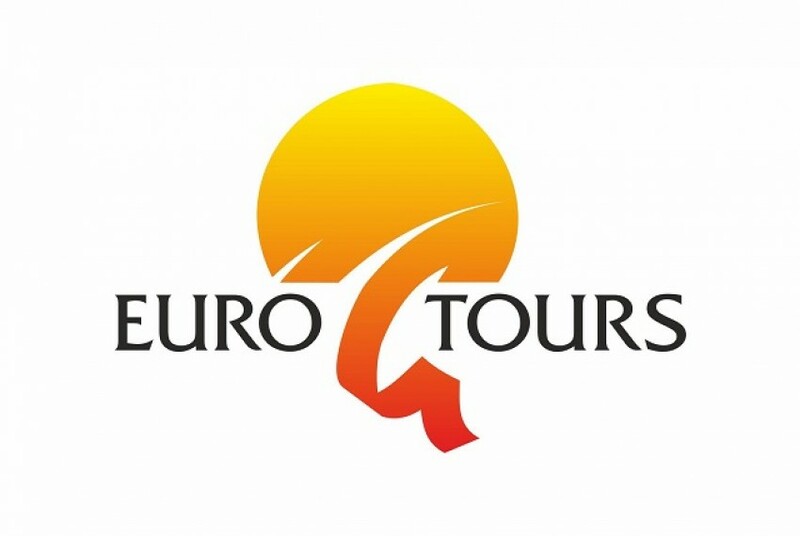 Euro Tours is authorized to cancel the reservation before or during the period of the guest usage of the accommodation, if unpredictable or unavoidable circumstances occur preventing the accommodation's usage, endangering the guest or accommodation, or lessening the service's quality to the point of it being impossible to provide the contracted service. In this case the guest will be refunded for payments already made, lessend by the cost of already-used services. In any case Euro Tours is not required to pay to the guest any compensation. During their stay, it is the guest's duty to use the accommodation owner's property and equipment with appropriate care. They must also adjust their behaviour as not to disturb the other guests, neighbours and host. In the event of the guest not adjusting their behaviour with the house rules even after being warned, they lose their right to the booked accommodation and must leave immediately without compensation. Any damages and deficiencies caused or discovered by the guests must immediately be reported to the person in charge of the keys or the Euro Tours 's employee. This way damages and deficiencies will immediately be removed without lessening the quality of stay. The guest is responsible for any damages or deficiencies they've cause if they cannot prove that they're not responsible. The same applies if the accommodation unit, due to damages, dirt or missing equipment cannot be submitted to the next guest for them to use. The owner will charge the guest on the spot for any damages or deficiencies. The deposit can be paid only in cash (as mentioned on your booking confirmation). It is necessary to pay the deposit to the owner of the house otherwise you will not receive your key. If no damage is caused to the facility, the owner is obliged to return the deposited sum to the guest at the takeover of keys at the guest`s departure. It is the guest's obligation to conciously handle the unit and its inventory. On the day of departure the accommodation unit must be in the same condition as it was when the guest arrived. In the event of the accommodation's condition differing from its condition when booked, the guest must in 24 hours notify the person in charge of the keys. If visible irregularities are not reported in mentioned time, it will be thought that the unit was handed over in proper condition. If any irregularities occur during the guest's stay, it is their obligation to act in the same way. In the event of the owner or person in charge of the keys being unable to rectify the irregularity within a reasonable period, it is the guest's duty to inform their agent or Euro Tours 's employee. If the guest voluntarily leaves the facility or finds other accommodation without giving Euro Tours time to resolve the issue causing the guest's dissatisfaction, the guest is losing their right to receive compensation regardless of whether their reasons for departure were justified or not. The person in charge of the keys and the travel agent are not authorized to approve compensation requests. Compensation requests must be delivered to Euro Tours or your travel agent in written or in personal form within their stay in the accommodation unit with proof included (pictures, confirmation from the person in charge of the keys/travel agent, witness statements etc.). Complaints made after check out from the booked facility will not be taken into consideration. We emphasize that it is in the guest's interest to act in good faith and show willingness to resolve their complaint during their stay and to give their written complaint to the owner on the spot, and request written confirmation that the complaint has been received. If the guest does not meet these requirements, he / she is losing his /her right to receive compensation. Euro Tours is obligated to deliver a written decision regarding the complaint within 15 days of receiving the complaint in the same form (e-mail, ordinary mail, or personal delivery which will be replied by registered post with a return receipt). If it is neccessary, in order to gather information and verify the claims in the complaint, Euro Tours may postpone the decision deadline for another 14 days, of which it is obligated to inform the guest making the complaint in written form. Euro Tours will resolve only those complaints for which the guest provides evidence that they gave their written complaint to the service provider on the spot and that the cause could not be eliminated on the spot. Until Euro Tours reaches a decision, the guest must refrain from mediation by any other person, judicial institution or giving information to the media. Damages and losses due to burglary. The above listed causes equally apply outside the contractual obligations. Euro Tours specifically rules out responsibility for the actions of the auxiliary staff. 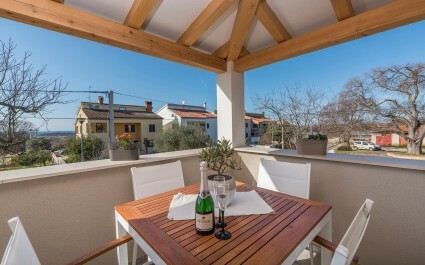 When travelling to the Republic of Croatia, the guest must have a valid personal travel document (a passport or identification card, depending on the guest's country of origin) not only for themselves, but for any other users of the accommodation. Furthermore, it is the guest's duty to check whether visa is required to enter Croatia or any countries on their way, obtain one on time, as well as respect the customs and currency regulations of the Republic of Croatia and any countries on their way. The parties commit to seek to resolve any disputes by mutual agreement, and if this is not possible, in the event of a legal dispute the court in Pazin has jurisdiction and the law of the Republic of Croatia is applied.